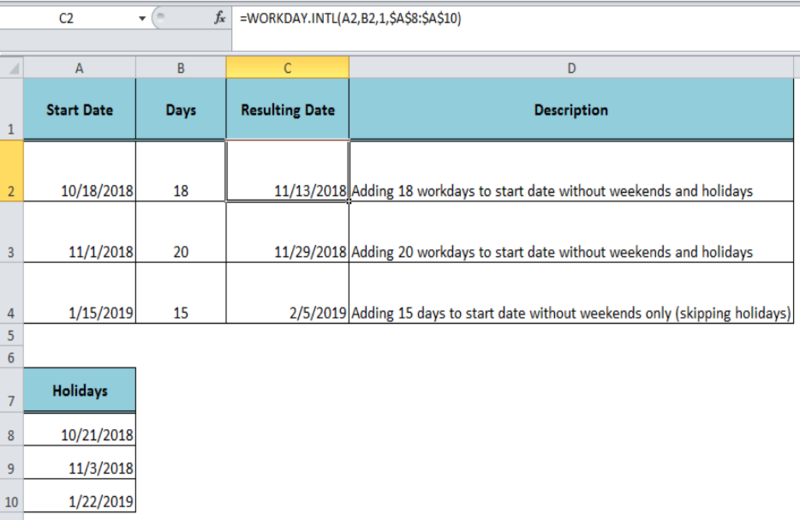 It may seem that analyzing dates while excluding weekends would be a challenging calculation. 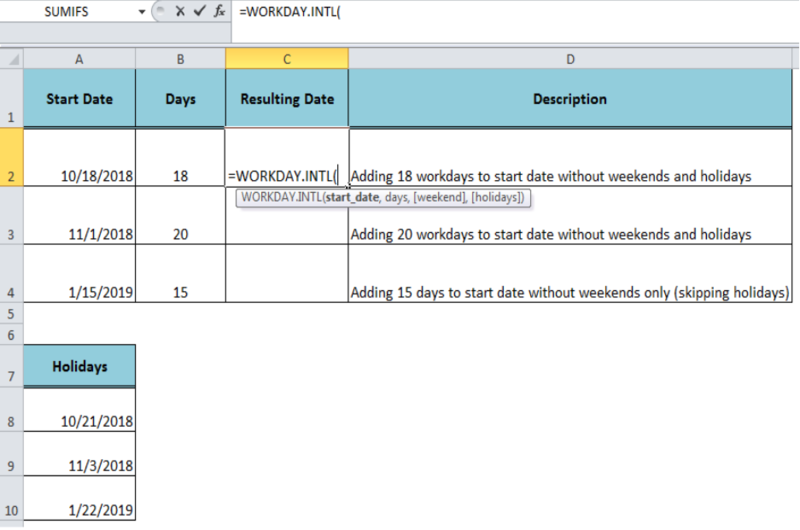 However, with specialized functions, WORKDAY and WORKDAY.INTL, Excel has made it easy to add or subtract workdays without weekends and holidays (optionally) to a given date value. This article will step through the process. 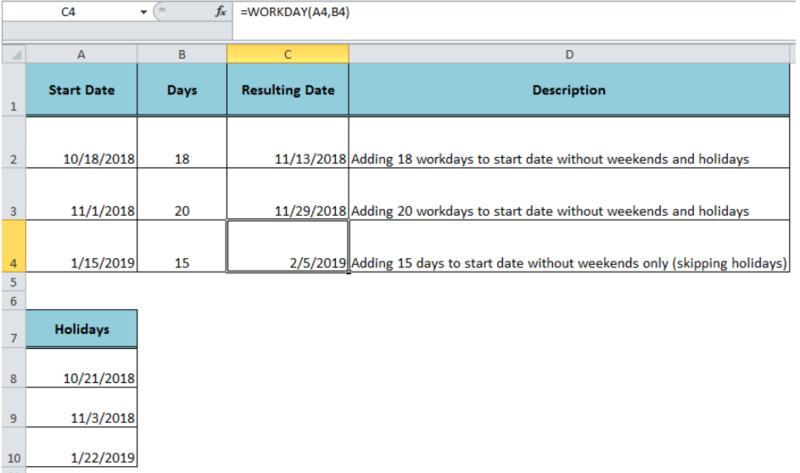 Days argument is the number of workdays to add or subtract from the start date. 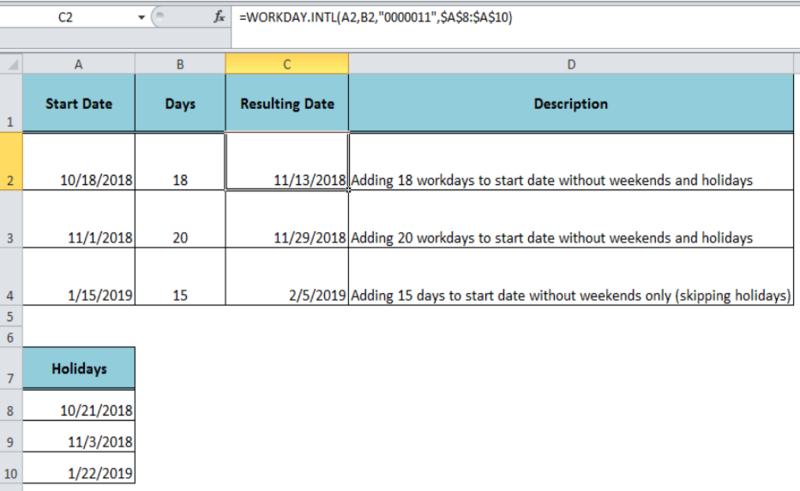 If we enter a positive number in this argument the WORKDAY function returns a date after the start date, and in case of a negative number, it returns a date before the start date. 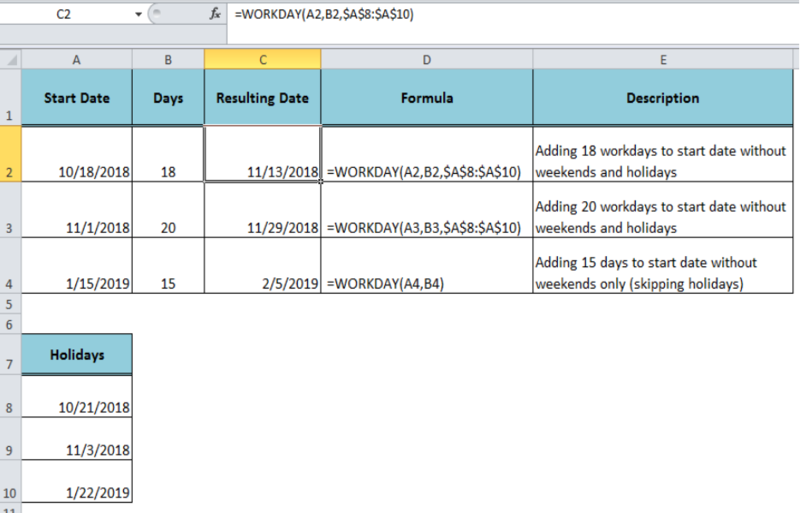 Holidays argument is optional and it contains the list of dates that are holidays and should not be counted as workdays. 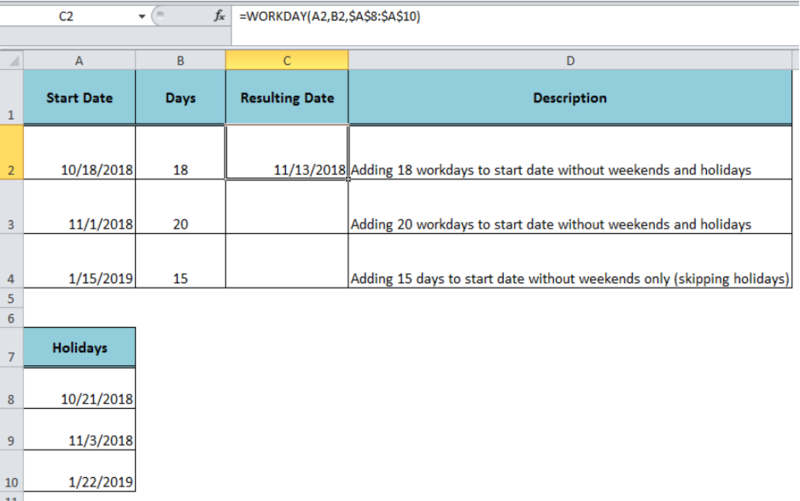 This parameter determines which days of the week should be counted as weekend days. It can be entered as number or weekend string. 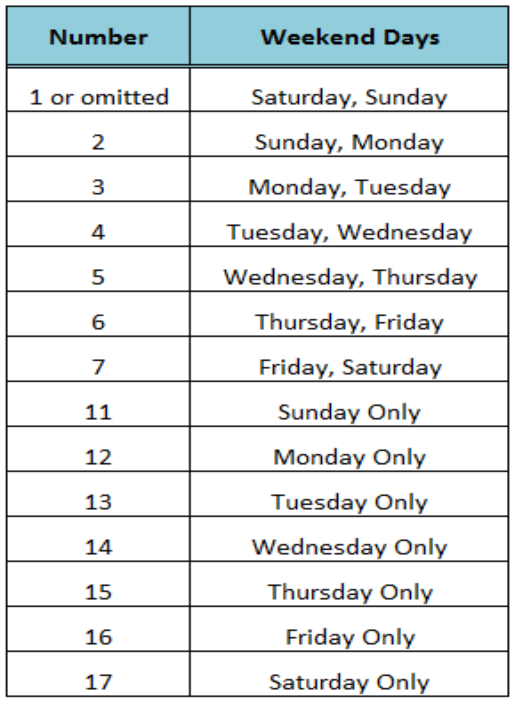 Number – It is a pre-defined index number assigned to each set of weekends given in figure 6. 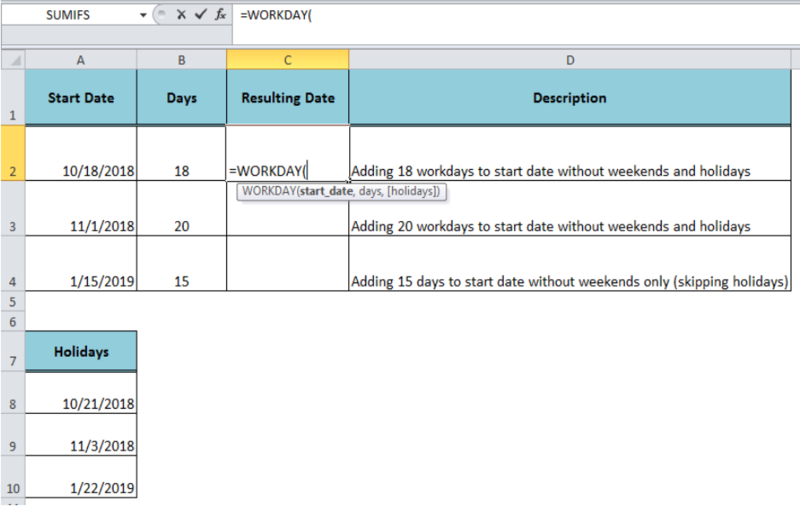 I want to save an Excel file via VBA with the last working day in the name. So no holidays and no weekends. Do you have any idea?